Meet the Singer 7258, a computerized sewing machine that’s here to cause a revolution in the sewing machine development arena. Ranking highly on the market, this sewing machine comes packed with exclusive and impressive components. 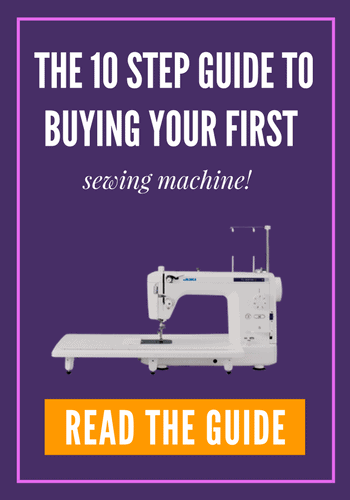 It brings you lots of stitches, accessories, distinctive buttonhole styles, among other features to simplify sewing in the best way. Even the Brother manufacturing, a re-known sewing machine developer, frets with the mention of this priceless machine. Its working, as we are going to see below, surpasses that of other competitive sewing machines above its price range. The Singer 7258 features six control buttons just below the LCD screen. The two buttons on the far left are for stitch selection. The first button sets the first digit in your preferred pattern, while the second button sets the second digit. The remaining four buttons are there to let you adjust the width settings and the stitch length. This sewing machine operates at a variable speed with an optimum of 750 stitches/ minute. Though slower than other competitive sewing machines, the Singer 7258 comes with six buttonhole styles-(single-step), a plus to its versatility. It lets you develop your fabulous designs on any project. The bright LCD that displays the various available sewing patterns is a plus to the usability of the Singer 7258. This machine is also adjustable to suit free-arm sewing, thus ideal for big projects. You can also purchase an extension table for use with this sewing machine. What are the Benefits of using the Singer 7258 100-Stich Computerized Sewing Machine? Lightweight-easily portable: The fact that the Singer 7258 computerized sewing machine is ultra-lightweight makes it ideal for mobile sewers like students. You can take it with you anywhere. This way, you can practice sewing at any time and place to achieve utmost perfection. 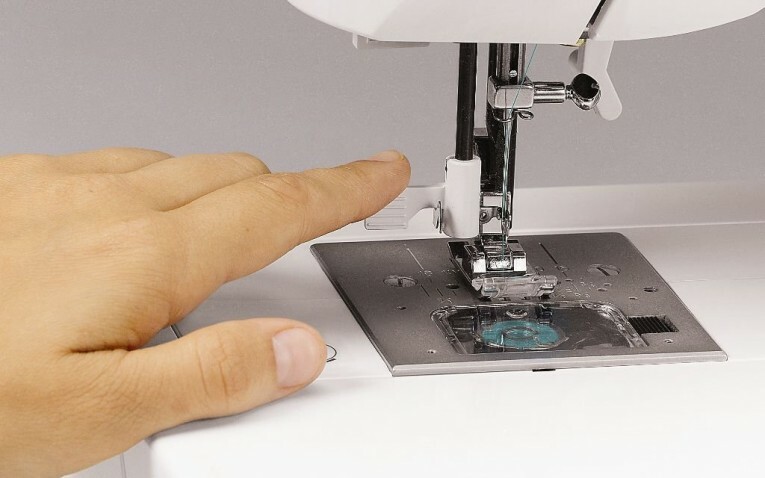 Ease-of-use: Being fully computerized and automated, the Singer 7258 sewing machine is very easy to use regardless of your sewing expertise. Threading the needle is easy as pie thanks to the featured automatic needle threader. 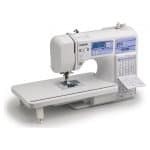 Again, you don’t have to strain your eyes while selecting your preferred sewing settings as this machine features an LED display to let you choose the length and width of stitches automatically. The easy-to-load, jam-free drop-in bobbin component is fitted with a clear bobbin cover to eliminate thread depletion surprises. Also, the StayBright LED light provides smooth working in any area regardless of the light condition. An instructional DVD is also provided to guide you through the use of this sewing machine. Affordable: The Singer 7258 computerized sewing machine offers you more than your pay. It delivers, by a great extent, beyond its cost. You will not find its build and general performance in other sewing machines within its price range. 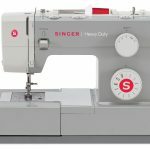 Key Benefits to using the Singer 7258 100-Stich Computerized Sewing Machine? 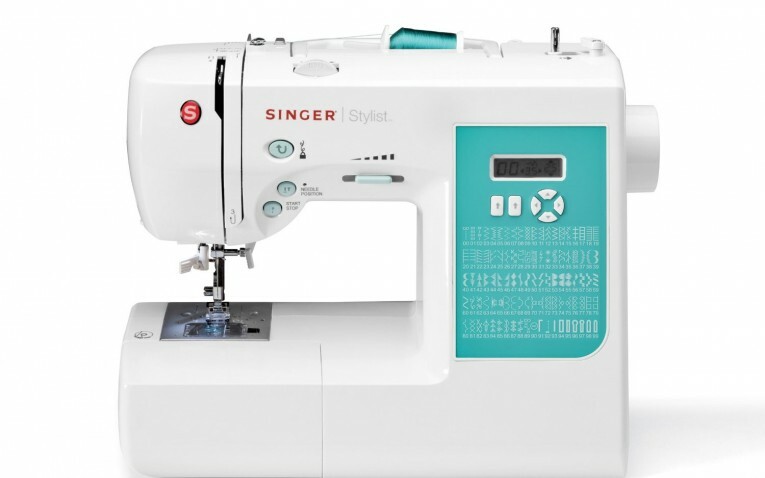 What types of sewing projects can the Singer 7258 100-Stich Computerized Sewing Machine be used for? With the 100 built-in stitches and a broad range of presser feet, you can do any project with this machine. It’s ideal for quilting, sewing, heirloom, crafting, embroidery, among other works. You are therefore free to hem wears, develop gorgeous quilts, make wears, develop elegant handbags, sew curtains, among other projects, with this incredible machine. You can also choose to start a sewing business. What Others are Saying About the Singer 7258 100-Stich Computerized Sewing Machine ? When quality and excellent performance is what you seek in a sewing machine, then paying attention to what the users of a given machine are saying about it is a wise decision. Boasting over 2000 reviews on Amazon, the Singer 7258 computerized sewing machine proves to deliver as it promises. What’s interesting, the reviews are overwhelmingly positive. The encouraging reports regarding its performance second the fact that this is one of the best sewing machines on the market so far. It’s a model that continues to fly the Singer Brand up high on the market. If you are looking forward to buying a quality sewing machine, then this should rank among your top options.